Core Fitness classes are FREE with a YMCA membership. Core Fitness classes will run continuously year round with the exception of holidays. The schedule will be adjusted during holiday weeks. As part of a successful group fitness program at our YMCA, we want to offer beneficial days, times and types of classes. Therefore, the fitness schedule is subject to change. We consider 7 participants a beneficial number in a class. If a class averages less than this over a 3-week period, we may eliminate it. In addition, if there is a class day, time and type that is not currently offered, we may add it as well. Water Exercise offers many different benefits that you may not realize. Exercising in the water builds cardiovascular stamina, strength, and flexibility. It also helps burn body fat, increases circulation and can help with rehabbing muscles and joints. We offer 3 different kinds of classes in the water all different days of the week! Ai Chi is a simple exercise and relaxation program performed in shallow water using a combination of deep breathing and slow, broad movement of the arms, legs and torso. It will improve range of motion, promote blood circulation and increase metabolism. Arthritis Foundation Aquatics is a program where participants are led by trained personnel through a series of specially designed exercises which help improve joint flexibility. This class will help add muscular strength and endurance with a minimum of injury. Aqua Boot Camp is a higher intensity water fitness class with the benefit of little to no impact on the joints. This class incorporates timed cardio intervals and also the use of hand weights in the water to add a strength element to the class. Aqua Fitness is a total body workout using resistance of water. The class is in shallow water on Monday, Wednesday and Friday and in deep water on Tuesday and Thursday. SilverSneakers® Classic will increase your muscular strength, range of motion and activity for daily living skills. SilverSneakers® Circuit will increase your cardiovascular and muscular endurance power with a standing circuit. SilverSneakers® Yoga will move your body through a complete series of seated and standing yoga poses. 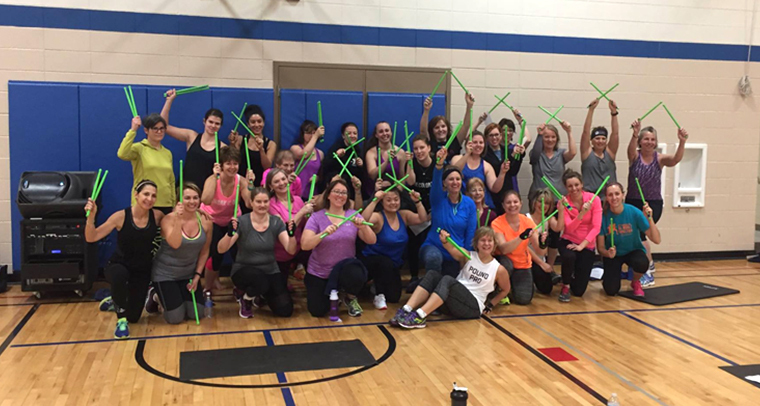 Fitness Boost (formerly EnhanceFitness) is the perfect mix of cardio, strength, resistance and stretching. The use of hand weights, velcro weights, resistance bands and balls will make each class different!